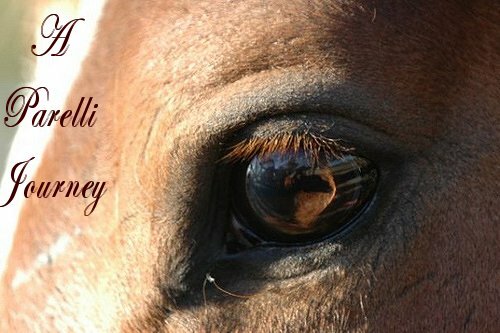 I received an email this morning from a fellow Savvy Club Member, congratulating me on the fact that a letter I had sent to the faculty had been posted on the Daily Parelli Blog. I had posted the letter on the forum in reply to various negative reactions being expressed by Savvy Clubbers in response to the release of the New Patterns Program & Self Assessment / Auditions process. I really wanted Pat, Linda & the Parelli team to know that I understood why it was they felt the need to redesign the program. I wanted them to know that I understood, and appreciated, AND thought that the new program was FANTASTIC. There are a lot of savvy members who haven't responded well to the change, and its not for fellow students to criticize, but I appreciate that they are upset. I hope that after they calm down, take a step back, and perhaps reassess, that will realize the Parelli program has not changed, not one bit, its simply been streamlined. And its been done for the better. I am going to be a better horseman because of the new program - and I can't wait!